Nokia announced the Nokia 6 smartphone in China in January that started a new journey of the company in the smartphone market. After that, the company launched Nokia 5 and Nokia 3 at the MWC event in Barcelona. One of the highlights of the devices was stock Android along with the regular updates from Google. Seems like Nokia has kept its promise has the first Android update has started rolling out for Nokia 6. We are talking about the Nokia 6 Android 7.1.1 Update. Along with that, the phone is also getting the latest Security Patch Update. 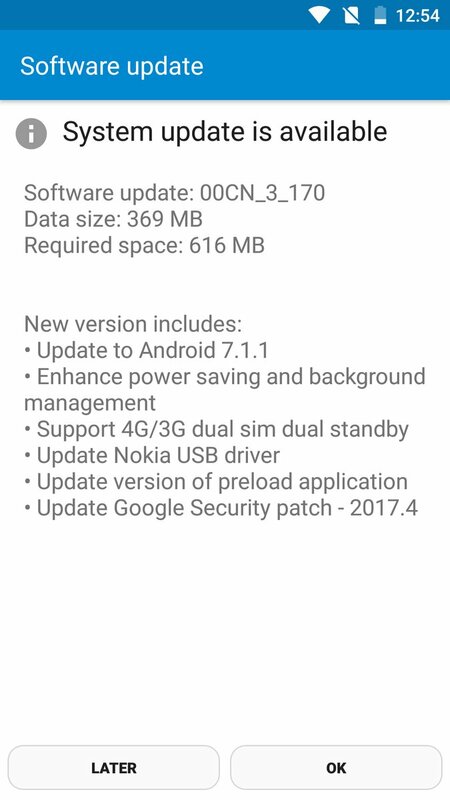 NOKIA 6 ANDROID 7.1.1 UPDATE – WHAT’S NEW? As mentioned above, the new Nokia 6 Android 7.1.1 update also brings with it the latest April Security Patch so it includes some bug fixes and improvements. Well, seems like Nokia is on the right path because it is keeping its promise of providing regular security and Android updates.